We’re entering Bizzaro World, Maggle. The week following WrestleMania is always as big as the event itself as WWE pulls out all the stops to ensure that the new season starts off with a massive bang. Each year we’ll see some of our favourite NXT stars take the plunge into the main roster, a couple of surprise turns of title wins and maybe even an unexpected debut. This year seems a little difficult to predict, there’s been some pretty big call-ups as of late and not a great many superstars waiting to make a dramatic comeback or appearance, but nevertheless, I’ve got some pretty bold predictions for next week. WrestleMania 35 has the potential to be one of the best of recent memory, so let’s hope that 2019 starts off riding that massive surge of momentum and it carries on throughout the year. Here’s what we think is going to go down. Bray Wyatt has been quite the illusive one since losing the Raw Tag Titles in July, having made regular appearances on WWE Live Event since disbanding the tag team with Matt Hardy, he still hasn’t made his official return to WWE television. So if anyone’s going to make a post-WrestleMania comeback this year, then it’s the former WWE Champion. Wyatt’s donned a new look and he’s rumoured to have been gifted a new entrance theme by heavy metal star Corey Taylor, so all signs are pointing towards a repackage. Bray Wyatt has been a curious case for WWE, having evolved so much since his debut as the leader of the Wyatt Family, yet never quite making it as a top star. Arguably his face run alongside Matt Hardy was the most successful run of his career, so here’s hoping that we’ll finally see the babyface Bray (Braybyface?) that fans are craving, and maybe he’ll eventually make it. His return match at the Starrcade event was against Baron Corbin, so perhaps we’ll see him pick up a feud with him in classic Wyatt fashion, switching the lights off and nailing The Lone Wolf with a Sister Abigail. Or maybe Wyatt will insert himself straight into the main event scene against whoever walks away from WrestleMania with the Universal Championship. A late addition to the WrestleMania card sees The Revival defending the Raw Tag Titles against the team of Zack Ryder and Curt Hawkins: Quite a shocking turn of events for the duo who can’t seem to pick up a win and break their unfortunate streak of losses. WrestleMania is all about those feel good moments, so who’s doubting that The Revival will do the honours for the underdogs? Mark my words, the figure fanatics are walking into Monday Night Raw with those tag titles, especially considering whose hometown we’re in. But in typical Zack Ryder fashion, I don’t see them holding onto those titles for very long. Ryder won and lost the Intercontinental Title over WrestleMania 32 weekend, and I see that trend following him into 34 weekend. But to whom I hear, you ask? Perhaps The Revival will pick them back up in the rematch, or maybe a returning AoP? At the moment there are no tag teams on Raw that are primed to be the next in line. There are definitely a few out there that could be used for a shock victory; Roode & Gable, Heavy Machinery, The Ascension, just to name a few. Regardless of whoever’s put against Ryder and Hawkins the next evening, they’re the next champions. But hey, it’ll make for a nice WrestleMania moment in the process. The Animal is set to face Triple H at WrestleMania this weekend in a career-threatening match. I can’t see the former walking away with H’s career under his belt, but it’ll be great to see the former World Heavyweight Champion in the ring once more. Batista is a massive global star, and evidently willing to be humble enough to return to his roots whenever given the chance. 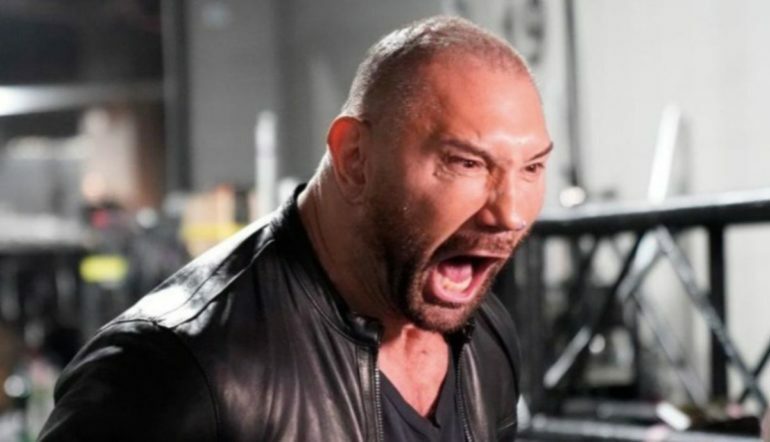 It wouldn’t surprise me if WWE choose to make the most of Batista and have him compete on either Raw or SmackDown Live before riding into the sunset to enjoy the spoils of Avengers: Endgame. Perhaps it’ll be used as an opportunity to set up another dream match at next year’s WrestleMania, or just to settle a score with a former rival. Either way I’m sure fans would enjoy one to see Batista leave on a high-note this time, as opposed to a crushing loss and another anti-climactic wave goodbye. Shinsuke Nakamura, The Revival, Neville, Ember Moon: all NXT superstars that made a spectacular debut on the Raw or SmackDown after WrestleMania. The week after has become synonymous with the time to finally bring the hottest developmental stars up into the big leagues, presenting them as the biggest deal and giving them something to work with for the near future. We’ve recently seen a batch of NXT faces take the spotlight, from Aleister Black and Ricochet to EC3 and Lacey Evans. There aren’t many other NXT names primed for that transition, NXT still needs the likes of Johnny Gargano, Velveteen Dream and The Undisputed Era to hold down the fort, but NXT UK have a Bruiserweight waiting in the wings. Pete Dunne has been an exceptional flag bearer as UK Champion, holding onto the title for almost 700 days. He has accomplished absolutely everything he could while establishing the brand and really has nothing left to prove. It’s time for Pete Dunne to explore other avenues and start his ventures on either Raw or SmackDown Live. An appearance from the hottest name in European wrestling would be huge and could get a deafening pop from an audience of wrestling fans from mixed backgrounds. Peter is ready for this. The running story of the past few months has been that Dean Ambrose’s WWE contract is about to expire, and he has made the decision to not renew it for another tenure. All signs point towards this being true, but everything seems a little fishy to me. WWE have never announced a departure so far in advance and they have never wanted to admit that a big star is set to leave them, which makes me think that he’s not going anywhere. Dean has been a character so knee-deep in kayfabe that it wouldn’t shock me if this was all a worked shoot. Since his failed heel turn and subsequent IC title run, there hasn’t really been much going for the Lunatic Fringe, using this as a means of giving him a big moment to jump-start his career would be genius. Having him attack Roman Reigns or even the newly crowned Universal Champion before ‘leaving’ would be something to get the wrestling world talking. Perhaps this is the ravings of someone dying to see Ambrose hang about for a little while longer, but I can’t help but feel like there’s more for him to accomplish and that WWE would have fought a lot harder to keep him signed. After all, Dean is one of their top merch sellers and most popular superstars, regardless of his place on the card. WWE have done it before during the famous CM Punk/John Cena rivalry, why not with Dean?